Pain is an inevitable part of life. But, it doesn’t have to be that way. If you’re suffering from a generalized pain condition, we have the right solution for you. Chiropractic is a natural, safe and effective alternative treatment for alleviating the symptoms of generalized pain conditions and improving the quality of your life. Whether you’re prone to neck pain or back pain, the fact is that chronic pain can make it difficult to perform daily tasks and activities. Debilitating pain can cause intense feelings of stress, anxiety and shatter an individual’s self-confidence as well. Needless to say, generalized pain has a major impact on every area of your life. At Shelby County Chiropractic, we know what living with generalized pain feels like. We strongly believe that everyone the right to live a healthy, happy, pain-free life. We offer customized chiropractic treatments for relieving and managing the signs of generalized pain and help our clients live a better, pain free life. Our professional and polite chiropractors use a “whole person” approach. They use an array of proven chiropractic techniques in a comfortable and well-maintained setting. Our chiropractic treatments are personalized to meet your specific requirements. 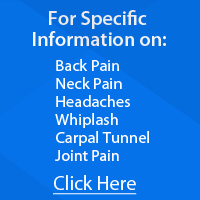 We offer chiropractic treatments for neck pain, back pain, hip pain, shoulder pain and more. Unlike many conventional treatments, chiropractic offers lasting pain-relief as it addresses the root cause of the pain. If you would like to know more about our chiropractic treatments for generalized pain, contact us today. Shelby County Chiropractic in Shelbyville can be your answer to a better lifestyle! Call 502-633-1073 today.